For many years I have collected information and documents about the early 1950s contactees with the object of trying find out what actually happened, to sort out fact from fiction. 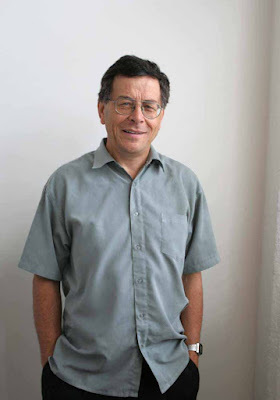 Not an easy task as the subject is somewhat taboo among scientific ufologists. 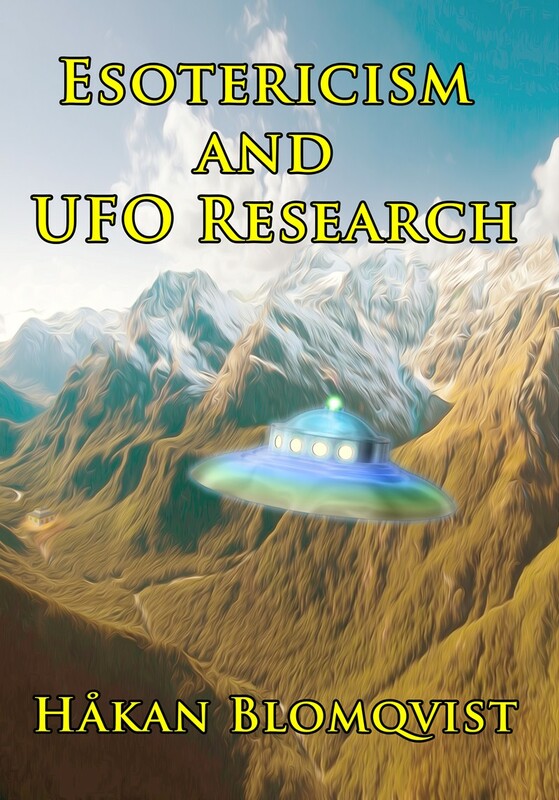 My efforts so far has resulted in the theory presented in Esotericism And UFO Research. 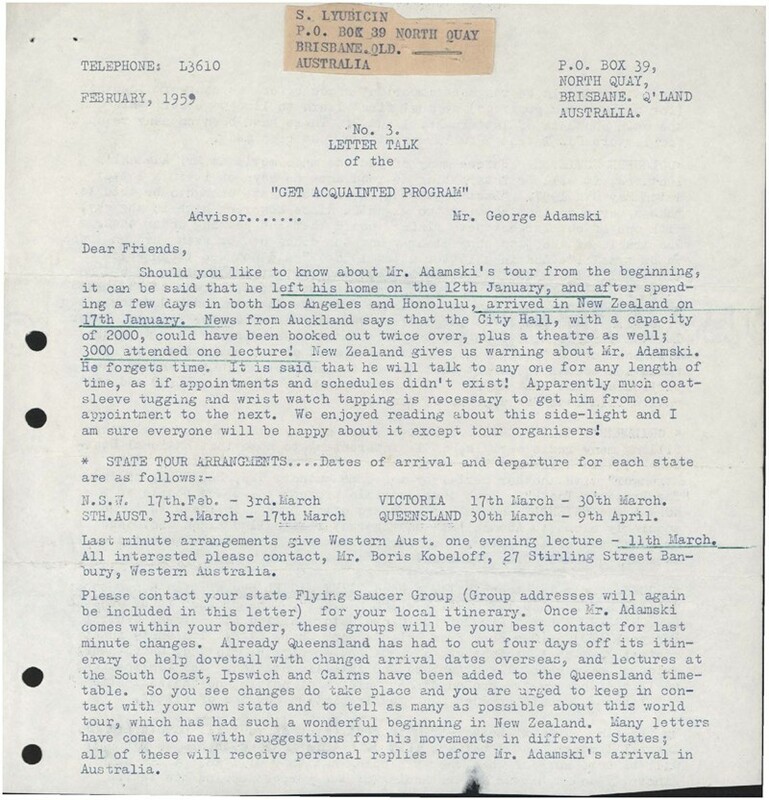 George Adamski is of course the most well known and controversial but there are several other contactees during this era, often Adamski co-workers who are equally interesting. Some of them with intelligence connections like Carol Honey. This also applies to the enigmatic woman Sonja Lyubicin. Not very much is known about her life and activities but I have received valuable help, data and documents from several fellow researchers. My special thanks goes to Tony Brunt, Joshua Buhs, Keith Basterfield and Bastien Bouhaniche. And also of course my old friend Timothy Good who for many years provided me with rare documents and transcripts of interviews. Unfortunately I have not heard from Tim for two years. If anyone out there knows what has happened to him, please contact me. 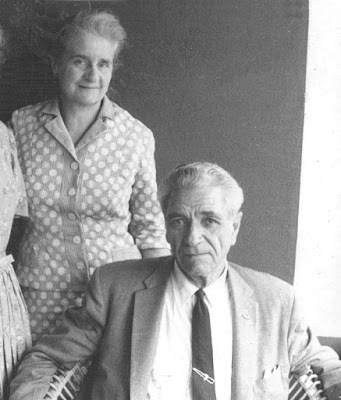 George Adamski was and still is a controversial figure in UFO history and this goes even more so for Sonja Lyubicin, as anyone can find out searching the internet. 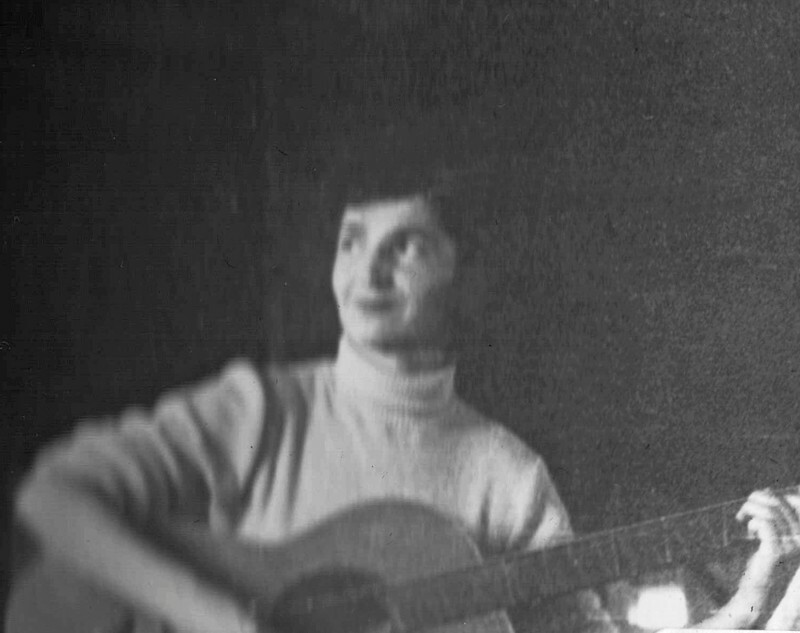 She was born on August 15, 1926 in Belgrad, Yugoslavia. Her parents Nikola Lyubicin and Maria Kina. 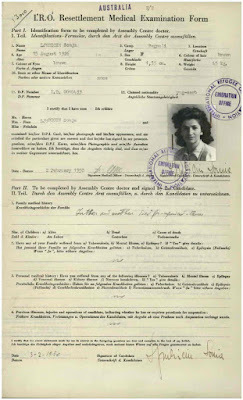 According to documents from the National Archives of Australia (NAA) Sonja escaped from Yugoslavia in 1947 and became a refugee in Italy. On February 2, 1950 she emigrated to Australia and settled in Brisbane. 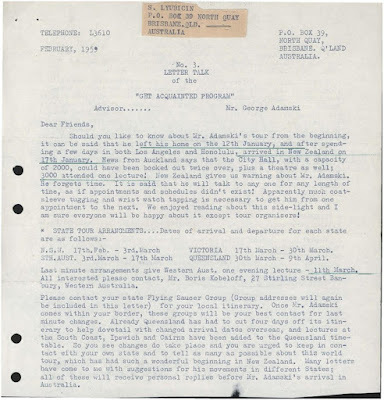 In the 1950s she associated with UFO groups in Australia and began corresponding with George Adamski, who asked her to be a co-worker and the IGAP representative for Australia (International Get Acquainted Program - IGAP). In this capacity she published a few issues of a small newsletter, named Letter Talk, beginning in 1958. On July 21, 1959 Sonja travelled to the U.S. where she began working for George Adamski at Palomar Gardens. In 1960 she married Robert Long, a friend of Carol Honey. She also applied for a social security card in the U.S. as Sonja Long. In 1961 she ended her co-operation with Adamski. Sonja continued living in California and on July 12, 1979 married William Paul Appleton. She then changed her name to Sonya Appleton. They eventually settled in Honolulu, Hawaii where the marriage ended. Sonya died in Honolulu, just before her 63rd birthday, July 2, 1989. This is a short synopsis of the official life of Sonja Lyubicin, the name I will use in this blog. But there was also a very different side to her life. Although many of her claims were fantastic she was not a publicity seeker and never announced publicly that she was a contactee. To her friend Brenda Hinfelaar, Auckland, New Zealand Sonja told of her early life and escape from Yugoslavia: ”Brenda recalled that Sonya said that she had escaped from Yugoslavia during the war or after the communist takeover with the help of space people. She was allegedly flown out in a craft. She said that she had later recognised from Adamski’s craft photography that these were the people who had helped her. Hence, her interest and support for Adamski. 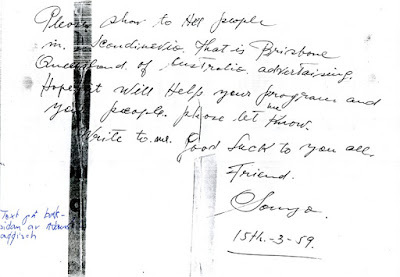 She claimed that Adamski’s contact person Orthon had visited her in Brisbane, apparently calling in to her apartment. Surprisingly this appears to have been confirmed by Adamski…” (Email from Tony Brunt, August 24, 2012). As a search on the internet will show Ray Stanford and Laura Mundo claimed that Sonja also had sexual relations with Orthon and other space people in Brisbane. I suppose this rumour could have a more worldly explanation in some young, resourceful Romeo having found out that claiming to be a secret spaceman in contactee circles was an excellent dating strategy. A Swedish contactee used a similar dating tactic by convincing female followers that they were incarnated space women. Obviously it worked very well. 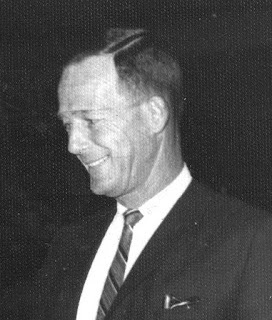 Australian UFO researcher Keith Basterfield has kindly provided me with copies of documents from the National Archives of Australia (NAA), relating to Sonja Lyubicin. 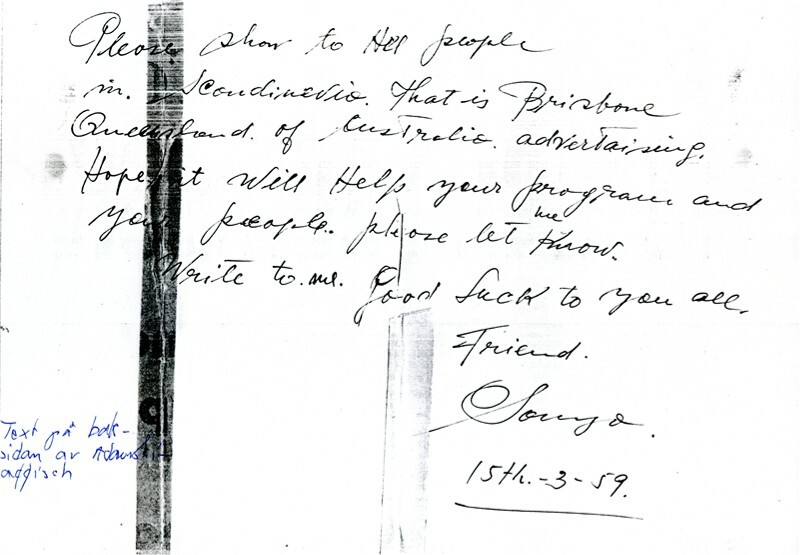 In one file belonging to the Australian Security Intelligence Agency (ASIO) about the Queensland Flying Saucer Research Bureau there is a short note about Sonja who ”believed she had travelled in space craft to other planets”. Whether this is a rumour in the Queensland group or claimed by Sonja herself is not explained. There has been many theories and much speculation of what happened to Adamski in the beginning of the 1960s when he claimed that he had met ”a new set of boys”. Were they secret intelligence operatives, trained experts in mind control or ”evil” space people bent on destroying his work and reputation? 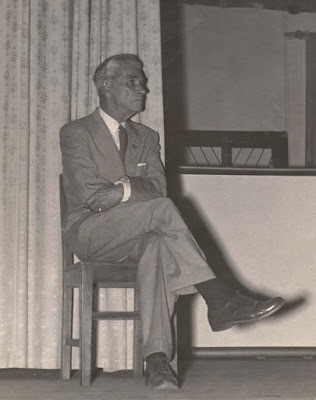 Adamski mentioned to Lou Zinsstag, in a private meeting 1959, that he had powerful adversaries and that ”they are slowly circling me in”. (George Adamski. The Untold Story, p. 35) Whatever happened ”they” obviously more or less destroyed his work and credibility. ”Tim: You wrote that you had independent confirmation that at least two of George´s contacts were genuine. Could you tell us the source of information for that? Carol Honey had asked Sonja how she could have been so sure already in Australia that George Adamski was a genuine contactee. She said her boyfriend in Australia was working for Australian Intelligence and had one time showed her classified documents with photos of Adamski and other contactees naming which were authentic and which were false. ”She said that because of that she knew he had something. Well, she could have lied about that, too, you know, so what does that prove? But I don´t think she did”. After some time Sonja was divorced from Robert Long and on July 12, 1979 married an extremely wealthy man, William Paul Appleton, one of the heirs to the Appleton Rum fortune. He owned much land in Hawaii and that is where the couple settled. By the middle of the 1980s Sonja had split from Appleton but she spent the latter part of her life in Hawaii, where she died on July 2, 1989. In 1985 a friend of journalist and ufologist Tony Brunt, Kaaren B. visited Sonja, who was living in an expensive apartment in Honolulu. The Russel´s son, Mark, was also visiting Hawaii at the same time and was staying with Sonja. ”They tried to nail Sonya down about her space contacts. All that she would say was that she did a lot of work for the military and wasn´t able to discuss it… Kaaren got the impression that Sonya acted in a liaison role between the space people and the US government.” (email from Tony Brunt, August 24, 2012). There is one aspect of contactee life and claims that is seldom mentioned and very well expressed in the classic Winston Churchill quote that ”truth is so precious that she should always be attended by a bodyguard of lies”. If contactees like George Adamski, Sonja Lyubicin and others really are in contact with and secretly working together with benevolent groups of alien visitors, then a certain amount of deception may be necessary to protect themselves. I have found this aspect both in esoteric history and UFO contacts. Helena Blavatsky, the founder of Theosophy, when confronted with an unwanted student or journalist told impossible and ridiculous stories to get rid of the person. Swedish contactee Richard Höglund told ufologist Ernst Linder that his contact experience was a lie, invented as a compensatory fantasy because of a difficult childhood. Later Richard told his close friend Gösta Johansson that he tried to get rid on Ernst Linder investigating him by saying that his contact was a fake. To this day Ernst Linder believes that Richard Höglund was a fraud, so the ”bodyguard of lies” worked. This strategy of "blinds"can of course easily backfire and create more problem than solutions. What would be my final assessment of the contact claims of Sonja Lyubicin? I really have no definite answer. Perhaps more data could solve the enigma of her life. Sonja was either an adventurous and highly fantasy-prone personality jumping on the contactee bandwagon of the 1950s or a woman with a secret mission, involving alien visitors.